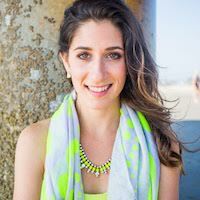 A HUM RD takes her place as the Elle Woods of gut health. Once a year, Harvard Medical School brings together the top microbiome researchers to share their key findings at the Harvard Probiotics Symposium. (Think of it like Comic Con for the probiotic world! Okay, minus the sweet costumes…) This year, Harvard invited me to attend and learn all about the latest microbiome research. What an honor! Harvard is exactly how you’d expect it to be. It’s historic, brimming with intelligent people, and feels like you’re about to take part in something very important. Armed with my notepad and intense curiosity, I sat in a lecture room for two days straight feverishly taking notes. As with most scientific presentations, the research is very specific and usually leads to the conclusion that more research needs to be done. However, here are my key takeaways. 1. Our society has shifted from dealing with infectious diseases to chronic diseases. Over the past century, the medical profession has been working hard to combat infectious diseases. Polio, mumps, sepsis, pneumonia, and many more diseases, although once deadly, are now manageable with modern medicine. However, now we’re seeing a rise in chronic diseases like asthma, diabetes, and obesity. In fact, about 41% of the population has at least one chronic disease. Yikes! But why? Many physicians are trained with the philosophy to kill the “bad bugs” and keep things as sterile as possible. However, enacting this methodology threatens the diversity of gut microbiome—and consequently, our overall health. Science is finding that the microbiome plays a protective role when it comes to chronic disease. So as we decrease gut diversity, we also increase the likelihood of developing a chronic disease. 2. Probiotic substrates may be more important than the number strains. What surprised me most from the entire conference is that while the diversity and strains of bacteria in our gut are important, it’s not as important as what our gut bugs are making! Bacteria produce a number of beneficial compounds like short-chain fatty acids (SCFA), proteins, vitamins, and even neurotransmitters, all of which impact different aspects of our health. You can help your gut bacteria be even more proficient at producing these compounds by increasing the amount of fiber in your diet. While our bodies don’t digest fiber, the bacteria in our microbiome converts it into things we can use, so it’s crucial to get lots in your diet. 3. We don’t need to mega-dose on probiotics. Until recently, I was under the impression that the greater variety of probiotic strains, the better. Now I understand that the variety isn’t as important as targeting the outcome you want to achieve with specific strains. For example, Erika Isolauri, a pediatric physician in Finland, found that giving mothers the specific strain of lactobacillus rhamnosis GG increased the efficiency of their babies’ immune systems. Similarly, it’s important to familiarize yourself with what strains will help you meet your health goals. Need help navigating which probiotic strains are right for you? 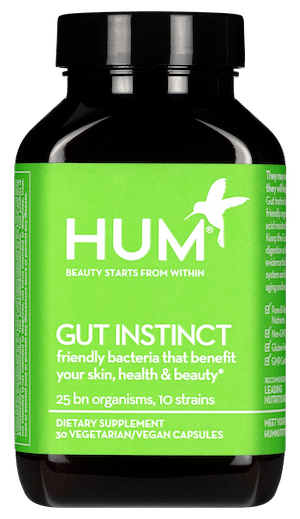 Check out our helpful article all about how to choose the right probiotic strains for your health and beauty goals. 4. Celiac disease and food allergies are on the rise. The first case of celiac disease was documented in 1938 and has been on the rise every year thereafter. Since 1974, celiac disease has doubled every 15 years. Why are we seeing this rapid increase in celiac and other food allergies? It seems that the lack of gut diversity and permeability may have something to do with it. Gut permeability is when your gut lining becomes inflamed and things from your gut end up in your bloodstream where they shouldn’t be. You may be more familiar with its other name: leaky gut syndrome. As a result, your immune system kicks into overdrive, which may result in reactions such as eczema, inflammation, psoriasis, etc. Gut permeability usually coincides with a lack of gut diversity. To avoid triggering these types of reactions, eat a rich diet of diverse whole foods, healthy fats, and fiber. 5. Our diets are too sterile. This concept had me shook. Robert Hutkins, PhD—a professor, food scientist, and expert in fermentation—commented that he was only eating sterile foods while in Boston. The problem with eating sterile foods is that we don’t get any good bacteria from them in our bodies. Historically, we’ve have been able to maintain gut diversity through consuming small amounts of dirt and bacteria on produce, but now everything is sterilized. If you buy bags of pre-washed greens, they’ve been bleached and washed three times. Similarly, our apples have been washed and coated in a layer to prevent bacteria that can cause spoiling. Pasteurization is another common technique that kills bacterial strains. I’m not suggesting we go out and eat dirt or only get unpasteurized foods. But, if you look back through history, many cultures have had fermented foods as diet staples. Kimchi, kefir, sauerkraut, miso, and borsht are all prime examples. 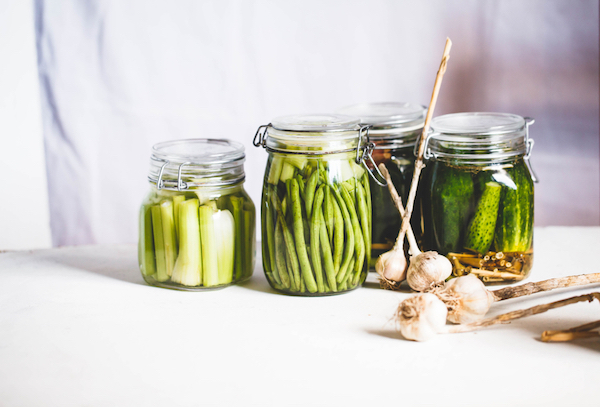 Fermented foods help keep our immune systems strong and our gut bacteria diverse. I was very honored to be invited to the Harvard Probiotic Symposium, where great minds met to discuss the microbiome’s complex role in our health. I hope you’ll incorporate at least one thing you learned from this article into your daily life. Remember that we’re not searching for the perfect diet, but rather trying to eat a little bit better than we did the day before. The Gut Brain Axis: All Your Gut Questions, Answered!